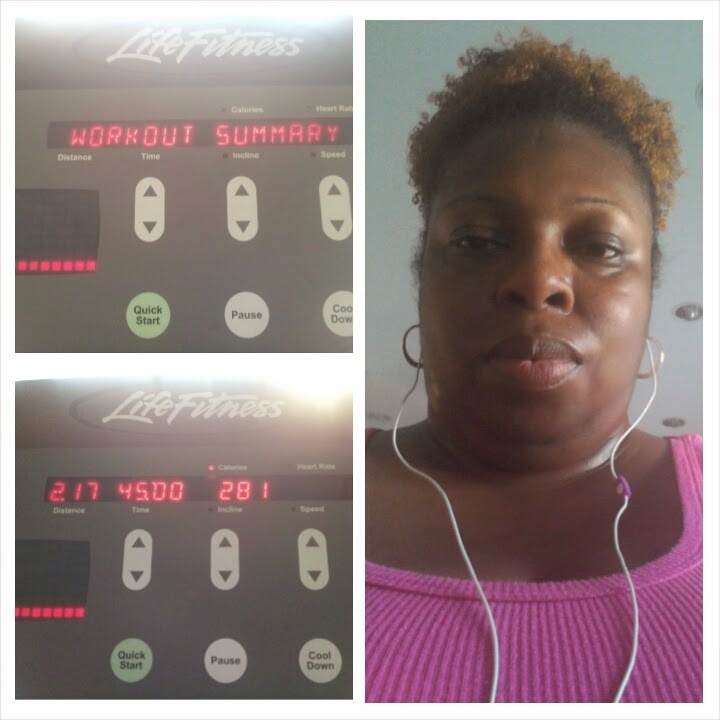 It's Bobbie's World: Work it out Wednesday: I'm back at it-again! 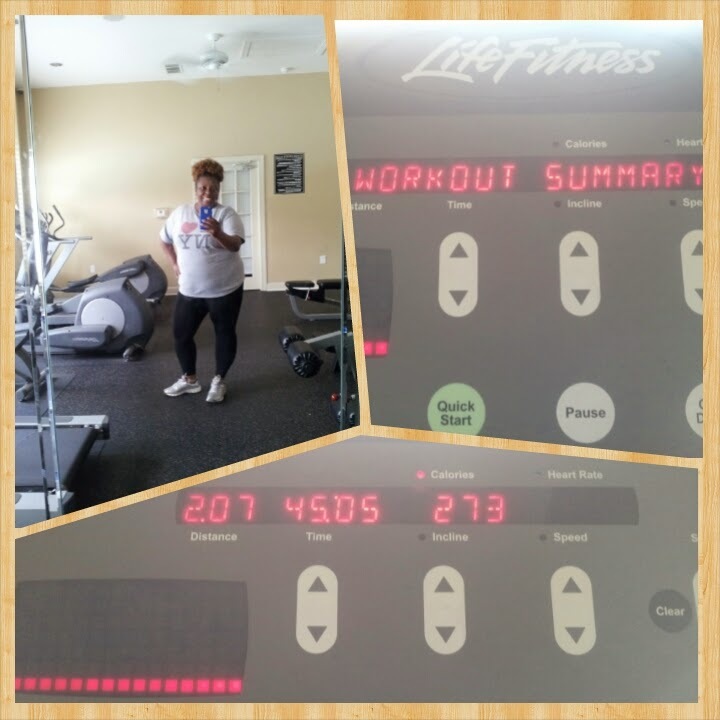 Work it out Wednesday: I'm back at it-again! Yeah, yeah I know, I know!!! You’ve heard it before from me that I’m back at this working out and trying to live a better and healthier lifestyle. I started back this past weekend working out (I’ve been M.I.A. with doing this) and I must say I’m glad I’m back at it with my cardio. My schedule is a little hectic during the week, but I made a promise to myself that I will make time to get some cardio in regardless of what, so far so good. This is how my workout schedule will go…Everyday 45mins to an hour with Fridays and Sundays as off days…. (This may change depending on work schedule). I’m staying at it this time….taking it one day-at-a-time. Check out my pics from my 2 workouts this week. Are you working out and gearing towards a healthier lifestyle?